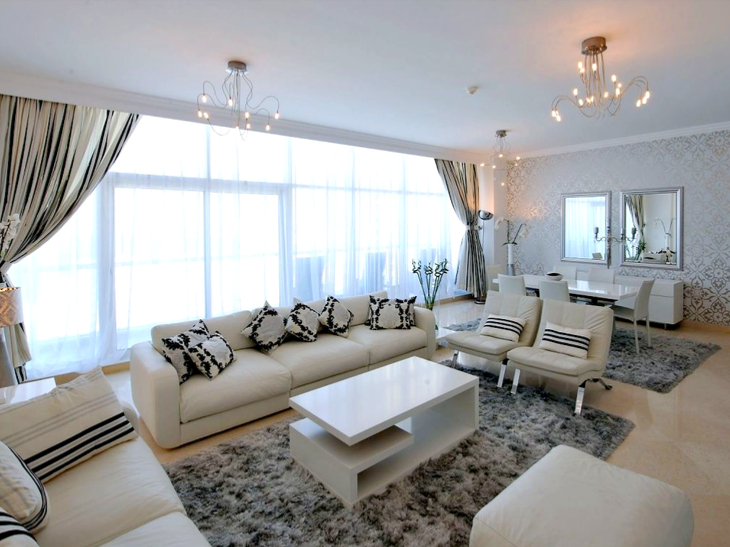 Dorra Bay offers waterfront living in the heart of the Dubai Marina. From here, you are perfectly positioned to enjoy all of the amazing experiences available to you on a Dubai holiday. Whether you’re a thrill seeker, shopaholic, sun worshipper or food fanatic, there is something for everyone is this unique city. From the world’s largest shopping mall to the world’s tallest building, Dubai is a city of record breakers. And although known for luxury shopping and sleek modern architecture, a recent overhaul has seen the growth of a thriving arts and culture scene in the city’s Alserkal Avenue. Plus, thrills await around every corner in Dubai, whether that be riding the dunes on a desert safari or riding the waves in some of the city’s many waterparks. So if you’re looking for a luxury sun-kissed holiday full of contrasts, Dubai, with its year-round sunshine, could be your perfect destination. Read on to discover some of the top things to do in Dubai. Standing 22 stories high above the Dubai Marina, the hotel apartments of Dorra Bay offer panoramic views of the coastline that takes in the Arabian Sea and the harbours. Make the most of these stunning views from large balconies and relax in elegant, spacious rooms. Plus, take advantage of the building’s great facilities, including an outdoor swimming pool. There is so much to explore within walking distance of Dorra Bay. A 5-minute stroll will see you at The Walk, Dubai’s chic waterfront hangout with more than 300 shops, restaurants and gyms. Marina Beach is close by — a beautiful white sand beach with its backdrop the breathtaking marina skyline. Enjoy sun, soft sand and lusciously warm water during the day or take a romantic evening stroll along Marina Walk while bathed in the city’s glow after the sun’s gone down. 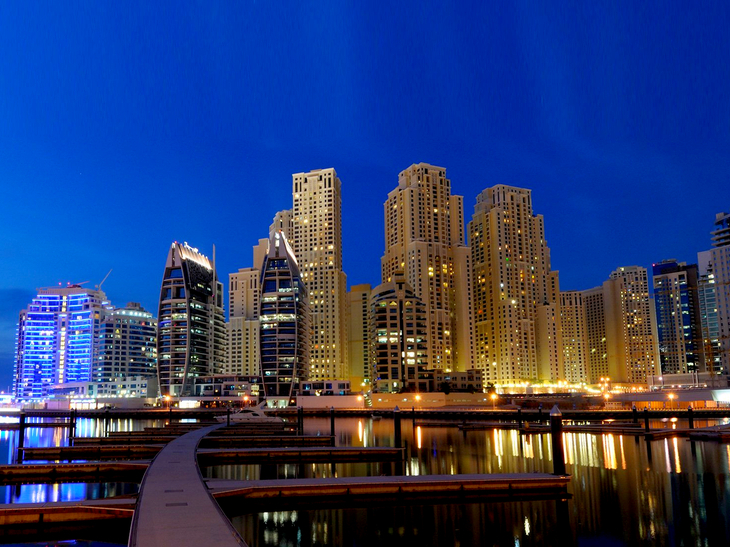 What’s more, just 2km away from Dorra Bay is Dubai Marina Mall. Within the mall’s relaxed atmosphere, enjoy affordable high-street shopping for all the family. Plus, with alfresco eateries lining the water’s edge, you’ll have plenty of choice for a lunch spot. 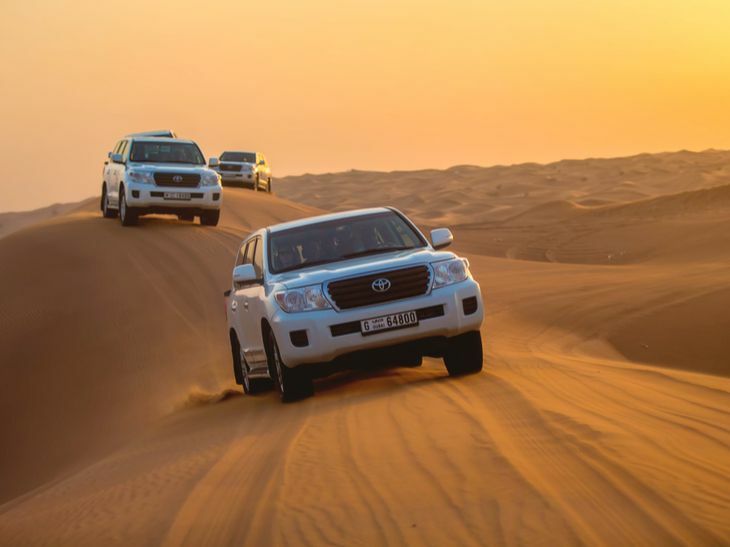 A classic Dubai experience, you really can’t visit the city without experiencing the majesty of the dunes. Your mode of transportation, though, is entirely up to you! For those wanting to travel in style, take a tour across the dramatic landscape in a Jeep, Land Rover or perhaps even a Hummer. Teeter over seemingly sheer drops before your driver smoothly slides down soft sandy slopes. Spot native wildlife, including the recently reintroduced Arabian Oryx. And enjoy a traditional Arabic meal in a luxury desert retreat at the end of your trip. If you’d prefer to take the wheel yourself, you can rent quad bikes at Dubai’s most famous sand dune, Big Red. Go off-road and explore the beauty of the desert, getting closer to the sand and heat as you soar across the dunes. And, if you’re feeling extra adventurous, then sandboarding may be ideal for you. An activity for the true adrenaline seekers, sandboarding is the snowboarding of the dunes. With a board strapped to your feet, experience the thrill of riding the ever-changing dunes. Head to Big Red for sandboard rentals, but also note that many safari packages include a sandboarding experience. You can't really visit Dubai without going on a shopping spree. 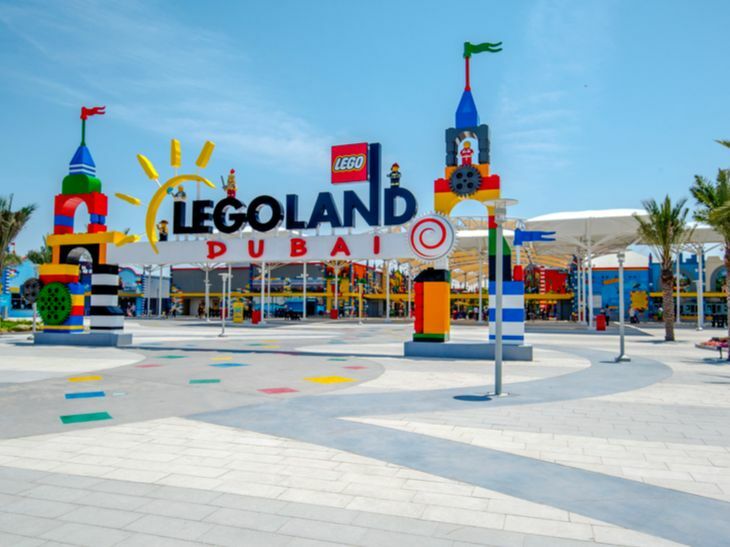 And while Dubai is home to some of the biggest shopping malls in the world, there is much more than shopping on offer. The palatial Dubai Mall is the world’s largest mall. 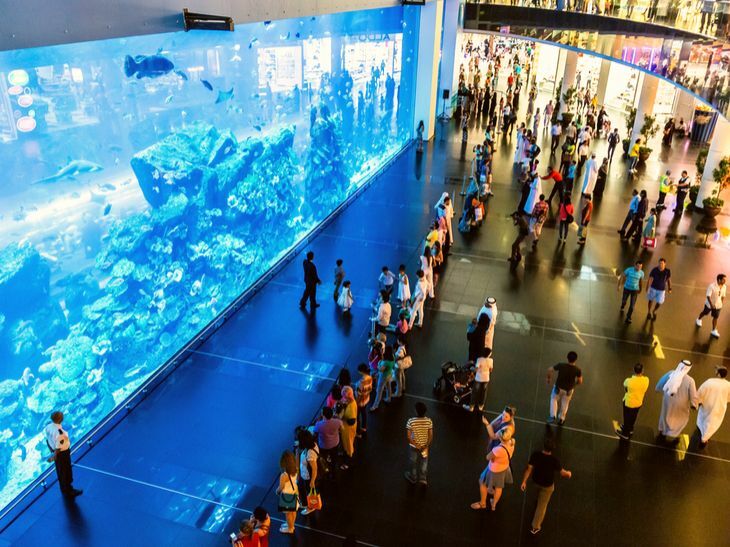 As well as 1000-plus retailers, ranging from high-street favourites to high-end designers (including Chanel, Christian Louboutin and Dior), here you’ll find an Olympic-sized ice skating rink and the Dubai Aquarium. Ibn Buttuta Mall is a sight to behold. 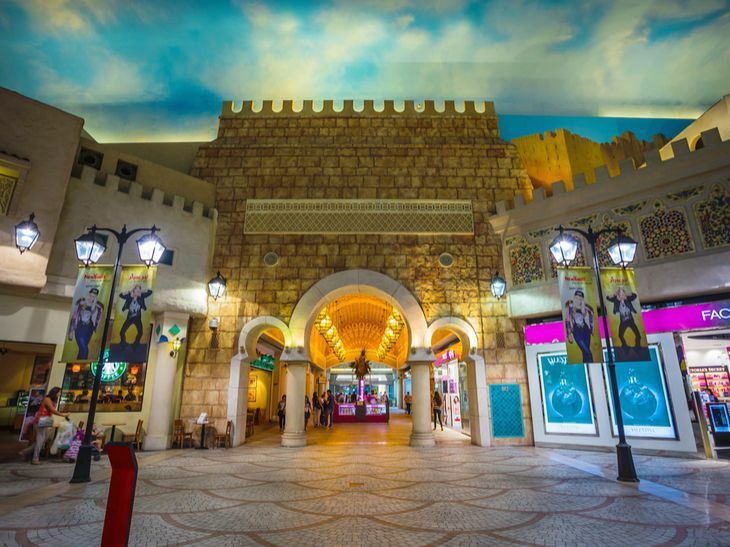 The world’s largest themed mall, it is inspired and named after a notable Moroccan explorer. With six courts of shopping, each is styled on a different region in which the mall’s namesake travelled: Andalusia, Tunisia, Egypt, Persia, India and China. But putting its astounding interior design to one side, this mall is a treasure trove of fashion, lifestyle and sporting retail stores. And, at the Mall of the Emirates, as well as finding a wealth of high-street shops and even Dubai’s favourite dumpling house, Din Tai Fung, you can experience a range of thrilling indoor snow activities at Ski Dubai, the first indoor ski resort in the Middle East. Yet this is only a handful of the shopping experiences on offer in this astounding city – there is undoubtedly a shopping mall for every occasion in Dubai. 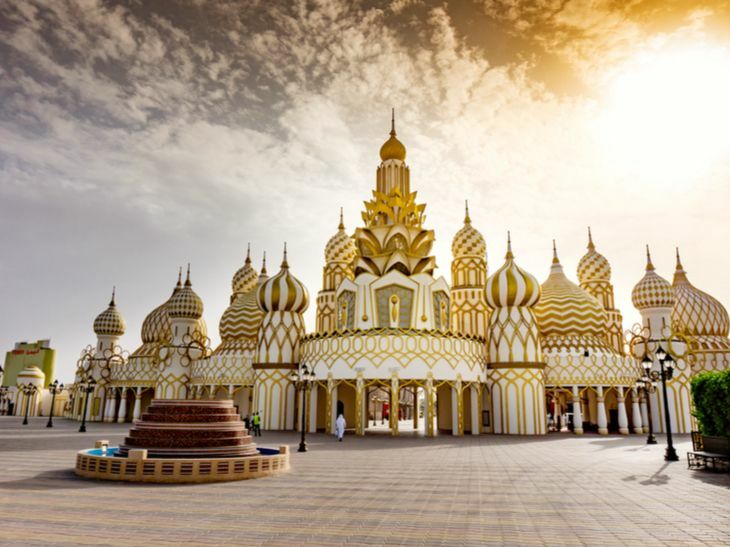 Global Village is Dubai’s original family shopping and entertainment destination. As its name suggests, it offers delectable food, live shows, thrilling funfair rides and bargain buys from around the world. Within 27 pavilions, explore 75 cultures. From fragrant Indian spices to handmade Iranian rugs and precious sidr honey from Yemen to Hello Kitty stationery from the Far East, there’s nothing you can’t find in this mind-boggling array of stalls. After a serious stint of shopping, you can rest your weary feet and enjoy delicious delicacies from every continent. As well as a wide range of international street food kiosks, Global Village hosts 23 restaurants and cafes. Plus, new this year is a multicultural floating market. Enjoy mouth-watering morsels and delicious dishes in the unique bank-side kiosks and tuk-tuks. For the thrill-seekers among you, you can’t miss the famed Carnaval. Here find exhilarating rides and state-of-the-art video games to keep you entertained all day. There is something for everyone, from families with young children to older teenagers who want to challenge their inner daredevils! 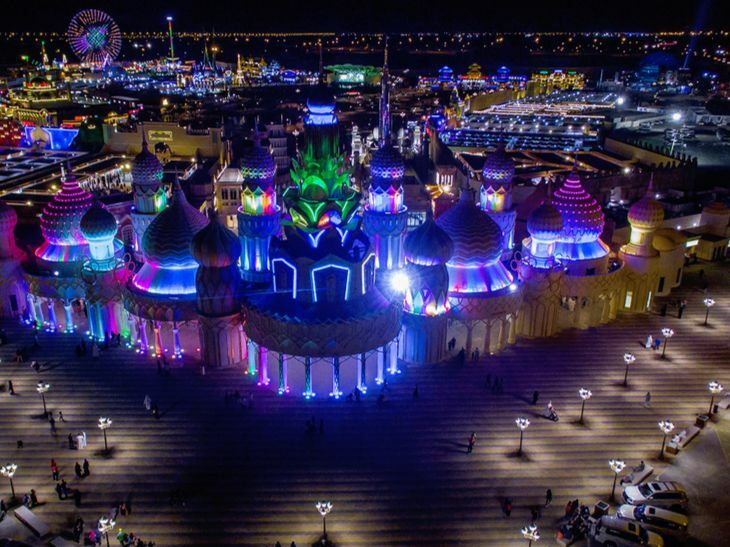 And, hosting more than 12,000 cultural and entertainment shows over the course of five months (the Global Village season starts in November each year and runs until April), you can find a show for every occasion at Global Village. From children’s entertainment and roaming street performers to daredevil stunt shows, you’ll never see the same show twice. An area now bustling with creative energy and artistic talent, Alserkal Avenue was once a downtrodden industrial zone of warehouses in Al Quoz. Starting off with just a single art gallery in 2008, it has experienced significant overhaul in recent years, and is now the place to go for edgy art events and cutting edge galleries. Head to Alserkal Avenue to experience a completely different side of Dubai. 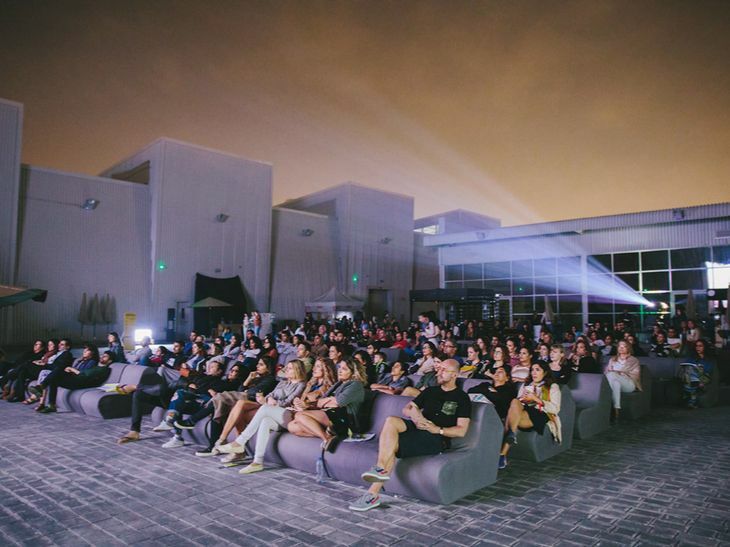 The first precinct of its kind to exist in the United Arab Emirates, today it regularly hosts exhibitions, talks, film screenings and community-based festivals and is even home to a small theatre. 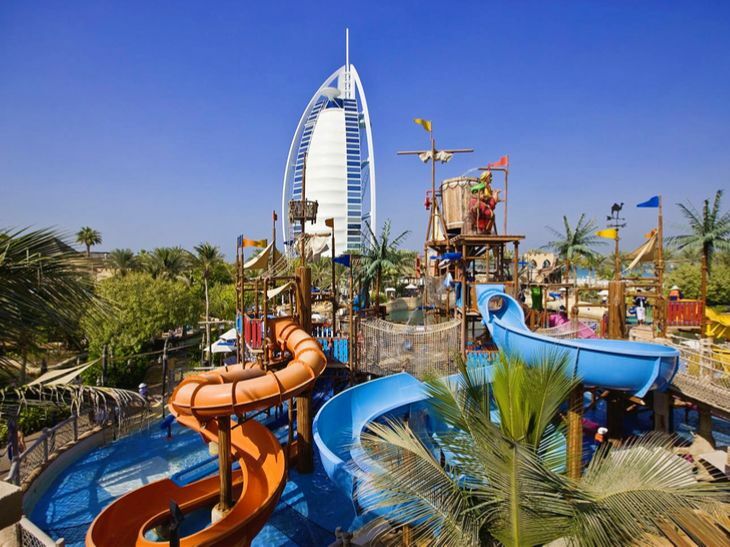 Dubai’s year-round sunshine makes it a hotspot for waterparks. And there are so many to choose from! Whether you’re an adrenaline junkie looking for thrills or a family with young children, Dubai has the waterpark for you. Aquaventure is Dubai’s largest waterpark. Situated within the Atlantis Hotel on the Palm, it boasts some of the world’s most adrenaline-pumping water rides. Its unique design, with two main towers connected by a giant lazy river, gives your heart a chance to return to its normal rate as you are transported between slides. The city’s original waterpark, Wild Wadi, is found next to two of Dubai’s most iconic hotels: the Burg Al Arab (also known as the Sail) and Jumeirah Beach Hotel (famously known as the Wave). Sitting right on the water’s shore, this is a waterpark with a view, but it won’t disappoint those seeking thrills. 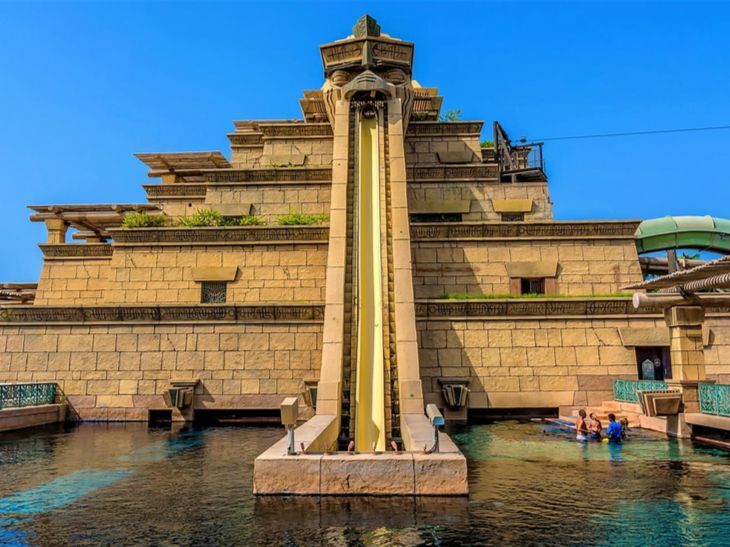 The park’s pièce de résistance, the Jumeirah Sceirah, is a 120m slide that drops riders through a trap door, seeing them reaching speeds of 80km/hour! And if you’re looking for a waterpark for younger family members, Legoland Water Park is perfect for children aged 2 to 12. There’s a whole host of rides for little ones, with many letting them race each other or ride in groups. Plus, a few single slides give the braver big kids the chance for some thrills. Kids can explore their imaginations at Build-A-Boat, testing their designs against the current, and Build-A-Raft-River is the perfect way for both adults and kids alike to unwind in their very own customised raft. And if Dubai didn’t have enough world-record breakers, it is also home to the world’s tallest building. This globally iconic building is a feat of engineering — it stands at a mind-boggling 828m. 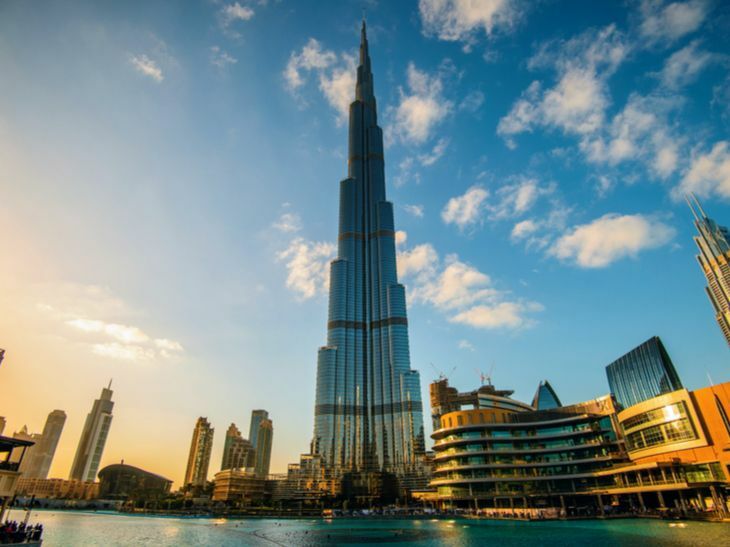 Head up to the 124th floor to marvel at the building’s height from an indoor viewing platform and, if you dare, head up one more floor to experience the open-air observation terrace. The building also boasts the world’s highest observation deck, standing at 555m high on the 148th floor! A trip to the top is not for the faint hearted. For a touch of class and sophistication, dine at the elegant restaurant and lounge on the 122nd floor. Or, for those wanting to keep their feet firmly on solid ground, there is a vibrant hub of entertainment and dining at the base of the tower. Shop to your heart’s content in the enormous Dubai Mall, enjoy the unique stylings of the choreographed musical Dubai Fountain and meander among the myriad other tourist attractions. With so many things to do and see in Dubai, it is truly an incredible city with something for everyone. Whether you choose to relax on soft white sandy beaches, indulge in a bit (or a lot!) of retail therapy, ride the dunes or discover the city’s edgy arts scene, an Azure X membership will help take your Dubai holiday to the next level of luxury.